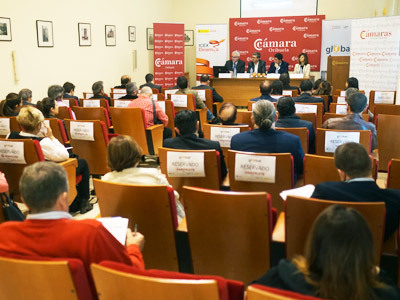 The Orihuela Business Incubator is the result of an agreement signed between the Official Chamber of Commerce and Industry of Orihuela and the INCYDE Foundation (Cameral Institute for the Creation and Development of the Company). It was born with the purpose of creating companies fostering the entrepreneurial spirit and therefore creating stable employment with a multiplying effect, helping them in the beginning of their project, when more difficulties arise, putting at their disposal the necessary facilities to start exercising their business activity. 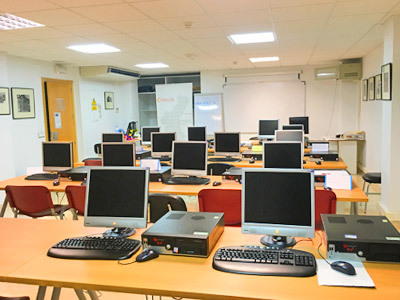 The Business Incubator of the Chamber of Orihuela has a series of training rooms that it makes available to companies. 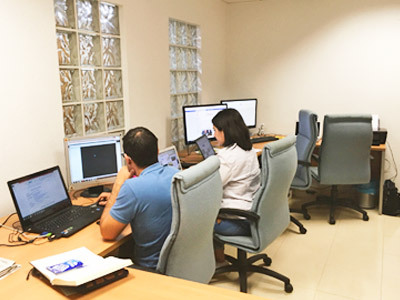 It deals with different spaces with all the necessary technological services for the realization of conferences, presentations, talks, courses, … with a capacity that varies from 12 to 62 people in the largest of them. Schedule of the rooms: from 08:00 hours to 15:00 hours, from Monday to Friday.Reservations will be made in writing, with a minimum of 48 hours in advance.The request for the facilities does not imply any guarantee that the reservation of the classroom is made, but rather depends on the availability of the requested classrooms.The Chamber reserves the right to cancel any reservation 24 hours in advance for institutional reasons and under prior notice. The payment for the use of the classrooms must be made at least 48 hours before the start of the activity. The Chamber is not responsible for the opinions, products or services offered by user companies. For security reasons, user companies may not exceed the capacity established by the Chamber in each of the classrooms. The user company may not advertise the House, except in relation to the indication of the venue, address and classroom in which the act will be held. The user company will be responsible for the proper use of the corresponding classroom and care of the material that is available. It is recalled that, according to article 7 of Royal Decree 192/88 of March 4, of the Ministry of Health and Consumption, smoking is not allowed in all facilities.